South Lake Tahoe charmer with River Rock Harth Tamarack stair case with knotty pine interior spaces. 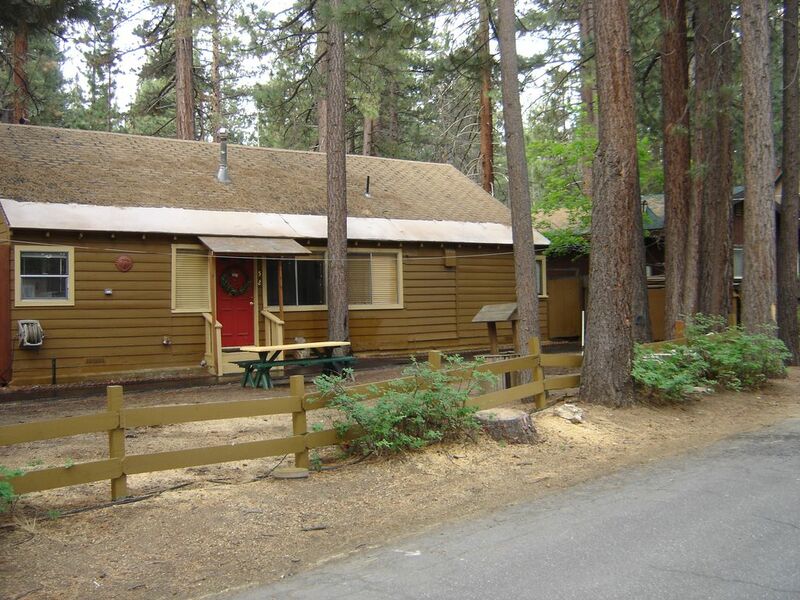 Large, traditional Cabin with great open living space with game room, new hot tub, and deck area. Winter: short walking distance to restaurants, bowling, short driving distances to skiing and clubs, easy walking distance to ski and casino shuttle. Summer: lots of outdoor chairs, recliners, picnic table , BBQ for outdoor cooking, great parks at the lake for you to enjoy the rare beauty. Our rates for this beauty are far below the big box rental companies with twice the home-like atmosphere. Pet friendly, but must discuss pet amenities first. The location of this cabin is close to everyting. Walking distance to major market, bike rental, bowling , restauarnts, and ski rentals. Also walking and driving distance's to public swmming pool, skate park, ice skating rink, kids rec areas. wood stove * ESPRESSO Machine, Waflle maker Housekeeper @ end of rental period .Many types of coffee making equipment. The house was perfect for us. We thoroughly enjoyed the stay. Look forward to coming back! Decent Cabin if you're snowed in! My husband and I took my Finnish business partners and one spouse up to South Lake Tahoe for February 13-17, 2019. The vacation was not what we expected, but because during that period South Lake Tahoe had one of the heaviest snowstorms it has for decades. It took my husband and me a couple of hours to get into the cabin because of all the snow and an ice pad outside the front door that meant we ended up using the back door. That said, the cabin is quite nice. It has three bedrooms, two with double beds and one with two singles. It also has a hide-a-bed in the living room and a futon sofa in the game room, which also hosts a genuine foosball setup. I hadn't seen one of those for decades. The living room has a nice fireplace which we ended up not using because two of us were allergic to wood smoke. The cabin heating is fortunately up to a prolonged cold spell. There are three bathrooms -- one off the master bedroom downstairs and two in a small hallway off the livingroom. The larger bathroom off the living room also has a washer and dryer off it -- useful for drying off clothes that get wet when skiing or shoveling driveways during a snowstorm. The kitchen has every kind of equipment you would want -- a couple of coffeemakers, a good gas stove, and LOTS of pots and pans as wel as dishes, silverware, etc. About all it lacked was any cabinet space for supplies: they were full of stuff already. The dining table is next to the back door, and comfortably seats six. The rental process was a bit strange for me, because I haven't done this before through VRBO or any online vacation rental site. However, I got the information I needed and everything appears to have gone well. I can't say we enjoyed the stay as we'd hoped to, but that was due to the extreme weather, not anything the owner of this unit could have predicted or changed. It would be an excellent ski cabin, perhaps for a somwhat younger group than we were (40s through 50s) but we did fine. It also would be good for a summer trip to Tahoe if you wanted a comfortable, casual pad where you could cook your own meals and maybe stage out of for hiking or boating on Lake Tahoe. As advertised. Comfortable and convenient. The home was exactly what we were expecting and Vernon was easy to communicate throughout. Lot's of snow this past storm (02/19). My friends and I really enjoyed our stay for the 2 nights that we were there. It was an easy check-in/out process and I had great communication with the host throughout the entire trip. The cabin was close distance to the lake, stores, downtown, etc. The hot tub was a great feature especially after a day of snowboarding. I would definitely stay here again.